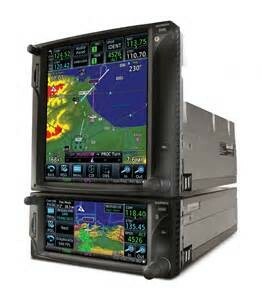 Learn to use the next generation of integrated GPS/NAV/COM avionics solutions, the Garmin GTN 750. Garmin touchscreen avionics are redefining what it means to fly with your fingertips. Only two buttons and three knobs for traditional data entry, or you can now “tap” and “swipe” your way along. The new graphical user interface, with its icon-identified onscreen touchkeys, provides a virtual flight management system. Learn to use the icon based Home screen to access all operational functions with finger-tip data entry. You can really speed up the flight plan entry by adding airway segments, and while enroute use the new graphical flight planning feature, “rubber band”, for easy flight plan revisions. The instructor will use various on-screen presentations and the Garmin GTN PC Trainer for demonstrations and then you will practice the procedures with the iPad app, the Garmin GTN 750 Trainer, giving you lots of experience with tactile learning. During the early part of each day’s course you will learn the various functions and capabilities of these units. During the latter part of each day’s course there are several scenario-based training exercises for you to use your newly acquired knowledge to plan actual trips and put to use your new skills in programming the Garmin GTN 750. Prerequisites: Garmin GTN 750 Level I – VFR Navigation or significant operational experience using a GTN 750 or GTN 650. Date: Please check the calendar on our Registration page.